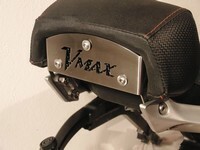 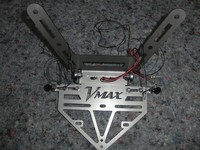 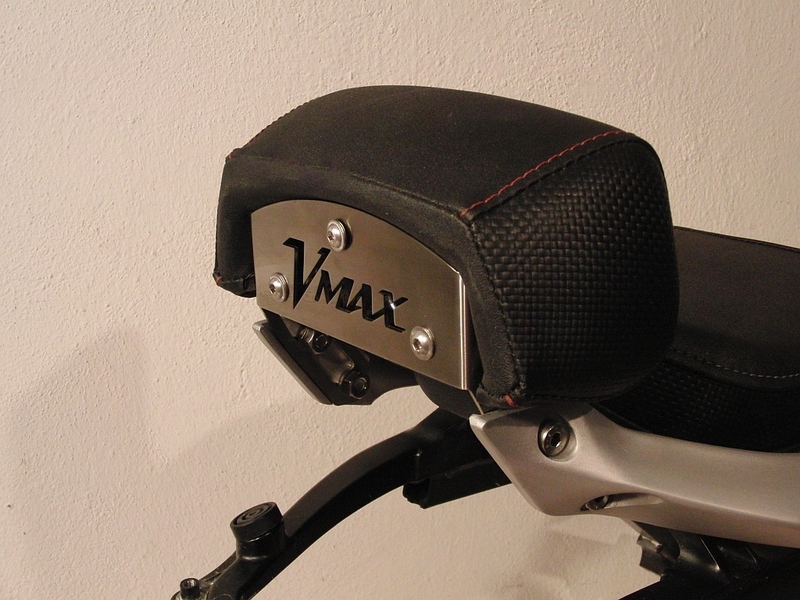 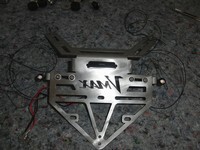 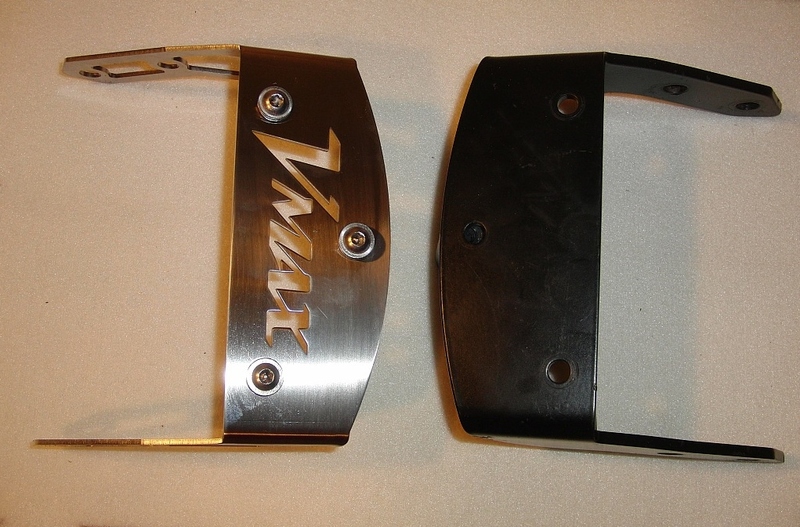 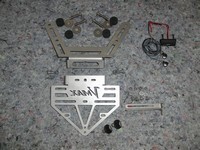 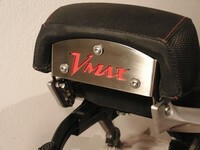 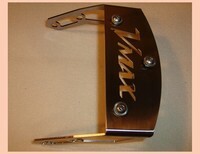 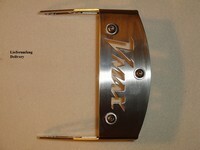 Sissybar cover plate, fits the original Yamaha Vmax 1700 Sissybar. 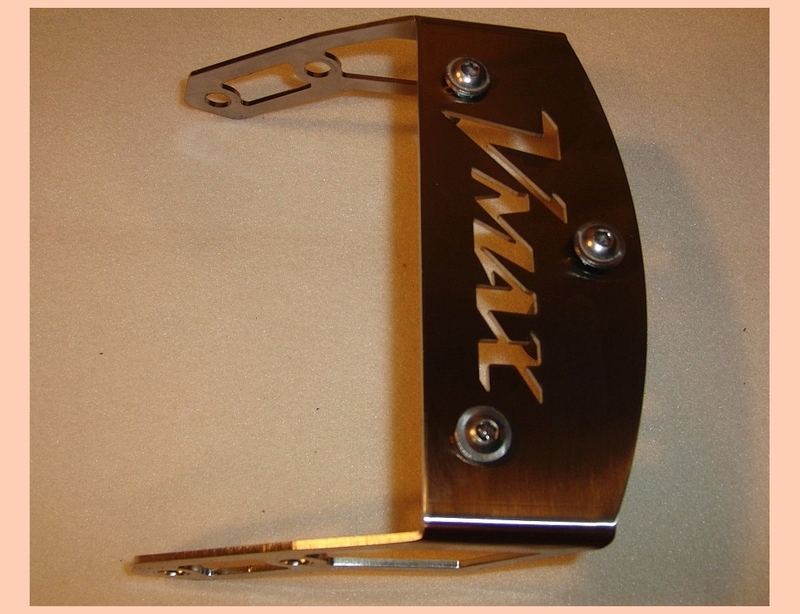 This high-quality stainless steel holder with Vmax lettering emphasizes the special feature of the Vmax. Material, 2 mm stainless steel / stainless steel, stainless, matt silver finish, laser-cut, 3 screws, without ticking. 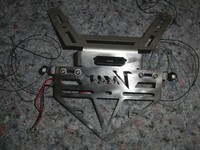 Weight 165 grams (original 460 grams). Inlett can be any material in a thickness of 2 - 3 mm made of plastic, aluminum, expanded metal, etc. can be used. 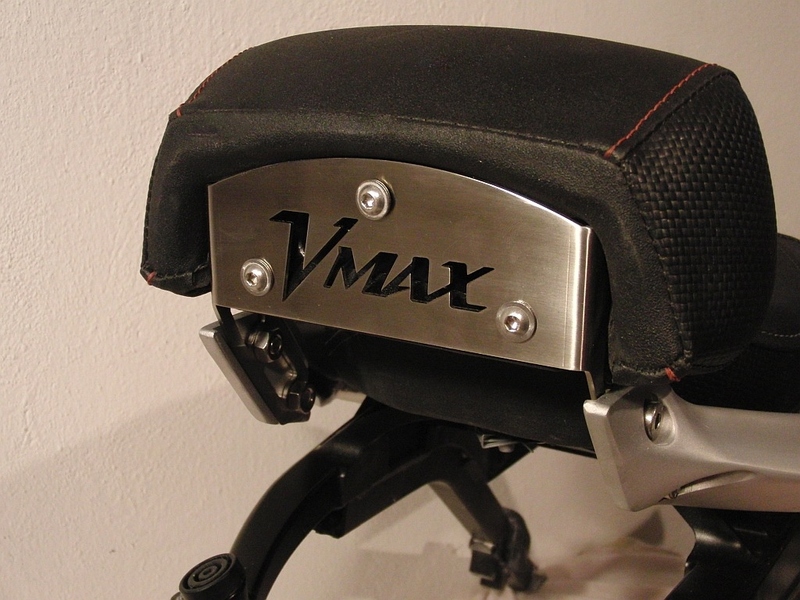 We recommend to stick these with a double adhesive tape on the back. 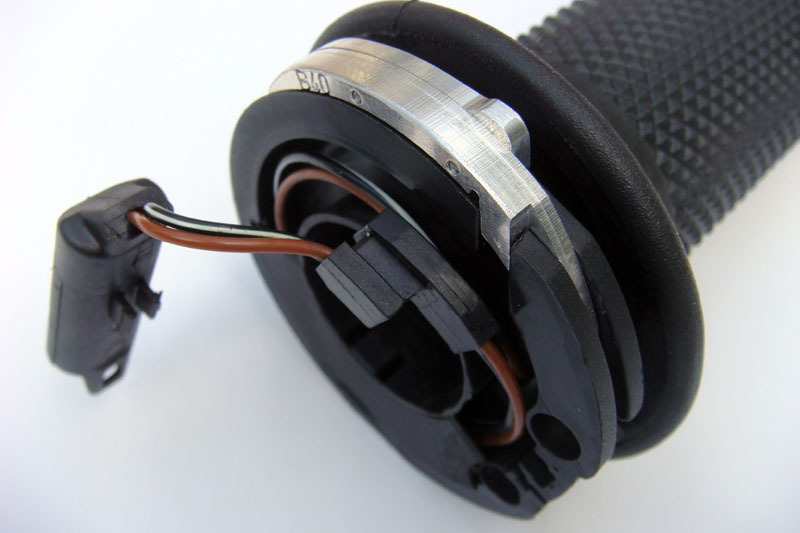 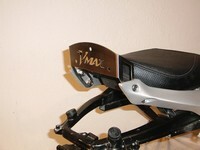 It is also possible to install a separate rear lighting. Design and manufactured in germany. 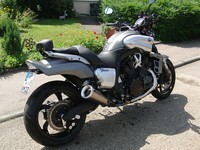 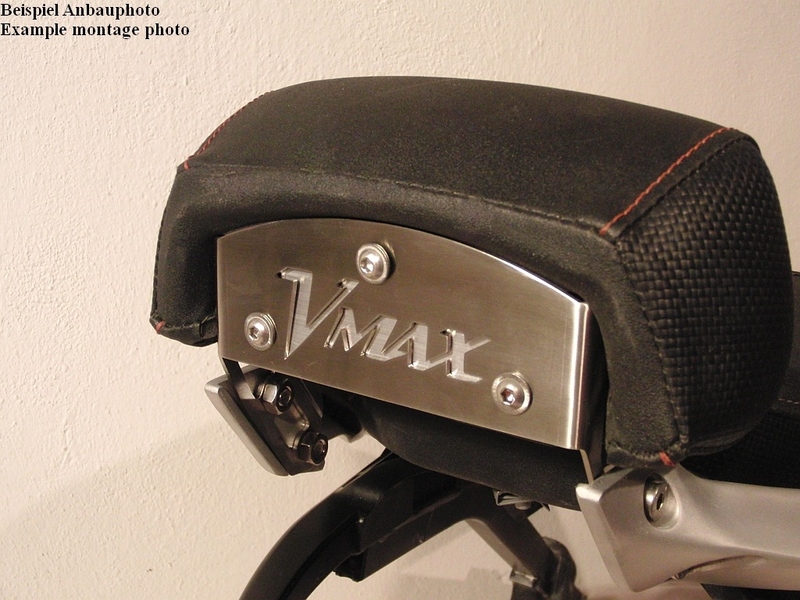 Radiator covering for Vmax 1700 including Vmax cover.